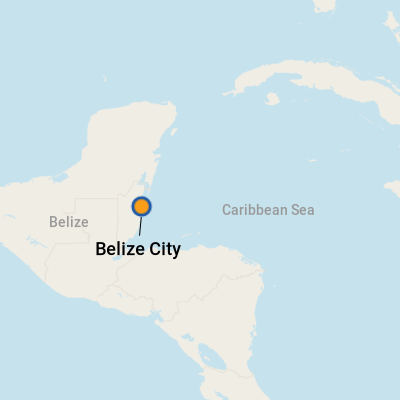 Bordering on Mexico, Guatemala and the Caribbean, Belize is the second smallest country in Central America (after El Salvador), with an area of approximately 9,000 square miles that includes numerous small islands -- known as cayes -- off the coast. More than half of the mainland is covered with dense forests, and at its longest point Belize is 176 miles long while its greatest width is 88 miles. Long a strong advocate of environmental protection, the government has set aside approximately 20 percent of its land as nature reserves. 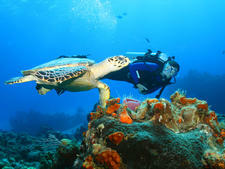 Belize has been attracting steadily increasing numbers of U.S. visitors as it has become better known as a reasonably priced destination offering some of the best diving in the Caribbean. It also continues to increase in popularity as a cruise destination and is often included as one of the ports of call on Western Caribbean itineraries. Diving is Belize's main claim to fame due to an almost unbroken line of reefs and cayes extending for 150 miles along its coast that make up the longest reef system in the Western Hemisphere (and the second longest in the world). While many cayes are tiny and uninhabited, some like Ambergris Caye are sufficiently large to have built resorts that attract divers from around the world. All ships anchor in Belize City harbor and passengers are whizzed from ship to shore via speedy Belizean tenders; it takes approximately 20 minutes to tender to shore. After tendering, all passengers disembark at docks in Belize's Tourism Village. 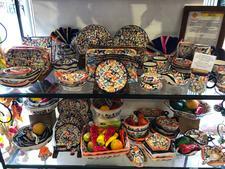 Here you'll find dozens of shops, bars and restaurants from standard cruise venues like Diamonds International and Del Sol to stores with handmade Belizean crafts and foodstuffs. Other than shop for souvenirs or hang out in one of the bars or restaurants, there's not much else to see and do in the Tourism Village. If you're up for a short walk, you can exit Tourism Village and head to the Holy Redeemer Cathedral or Baron Bliss Lighthouse & Gravesite, which are both within walking distance. When using cash -- particularly with merchants that accept U.S. dollars -- be sure you get change in U.S. currency. And, if you're at all concerned with wildlife conservation, don't buy items that are made from sea turtle shells, black coral or Triton's trumpet shells. Also, almost all the major attractions are at some distance from the city; so if you're exploring independently and hiring your own transportation, make sure you are back in time at Tourism Village for the last tender departure for your ship. On Foot: The only way to get around the Tourism Village is on foot, but its small, taking no more than 10 minutes to get from end to end (without lots of browsing, that is). You can also get around Belize City on foot fairly easy, though streets are not well marked and you might need to ask a local for directions. By Taxi: Taxis are readily available at Tourism Village as well as in the city and at hotels. Taxis do not have meters and although most drivers charge a standard fare, make sure you determine the fare before getting in so as to avoid being burned upon arriving at your destination. Look for the green license plate of licensed taxis. There are also water taxis and ferries that depart from the Marine Terminal to the outlying cayes, including the larger resort cayes such as Caye Caulker and Ambergris Caye. A trip from Belize City to San Pedro, the largest town on Ambergris Caye, takes around 80 minutes. By Rental Car: It's also possible to rent a car although drivers should be wary. The poor condition of many roads leads to many traffic accidents. Hertz-Safari (#1, Goldson Lane; 501-223-5395) is your best choice in town. 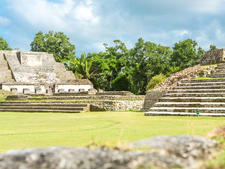 Belize's currency is the Belizean dollar; visit www.xe.com for currency conversion figures. However, all shops and merchants readily accept U.S. dollars (most also accept credit cards) so it is unnecessary to change money. ATMs are plentiful in both the Tourism Village and the rest of the city. English is Belize's official language and is spoken by virtually everyone. Check out Belize's own Belikin beer available at any of the bars within the Tourism Village, as well as at most restaurants in town. Frozen daiquiris and rum punch are also quite popular.